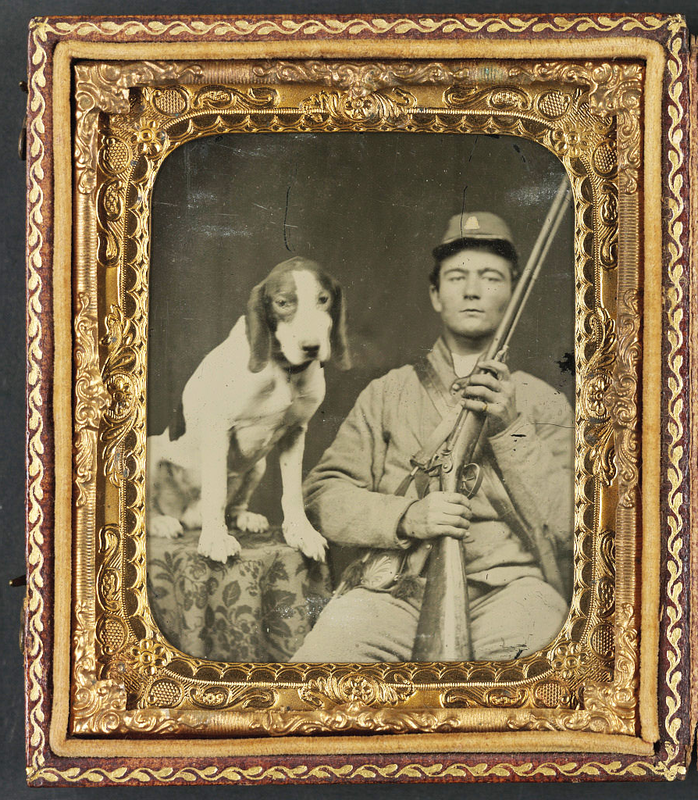 Here's a Confederate soldier posing with his shotgun and his hound dog. Notice the gold filigree frame around the picture. These were common for the time period and I have a couple in my collection. The frame had two pieces, held together with small hinges. The frame could be closed for protection of the photo while traveling. When opened, the frame could stand on its own for display of the photo. The original photo has been digitally "flipped" to show the subject properly (and not the mirror image that wet plate photography created). I wonder how they got the dog to sit still during the lengthy exposure period.